Financial literacy in the board room for smaller listed companies can be a mixed bag in my experience but not-for-profit boards often have a higher proportion of members who haven't had broad business experience and hence less exposure to financial matters. 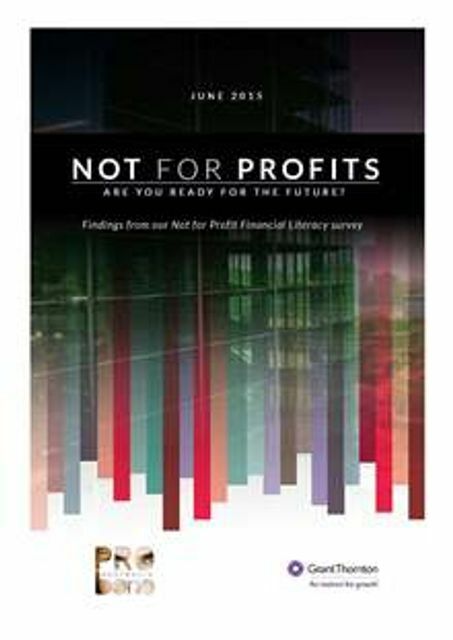 When asked whether they believed their board had the right level of financial literacy to meet the current needs of their organisations, 59% believed they did. While this level could be improved on, of real concern is that when respondents were asked the same question in relation to future needs, only 40% believed their boards had the right skills. The reality is that the sector changes underway won’t be reversed and organisations must ensure they are equipped to manage them. The survey indicated that one of the tools organisations can use to bridge the knowledge gap is director education. Analysis of the responses showed that where there was a focus on director education, the level of financial literacy was assessed by respondents as higher than average.